We offer select products to benefit your treatment plan, spinal health and well-being. Having the right tool for the job is important. Contact us with your questions, or to place an order. You can benefit from using a foam roller. We can show you at-home treatments using the foam roller that can help supplement your treatment plan from time to time. Our goal is to help decrease healing time and prevent re-injury. Juice Plus+ is whole food based nutrition, including juice powder concentrates from 30 different fruits, vegetables and grains. It bridges the gap between what you should eat and what you do eat every day. Juice Plus+ is not a multivitamin, medicine, treatment or cure for any disease. It is made from quality ingredients carefully monitored from farm to capsule to provide natural nutrients your body needs to be at its best. Available for both adults and children, in capsule and chewable forms. There is nothing worse than a leaky ice pack. 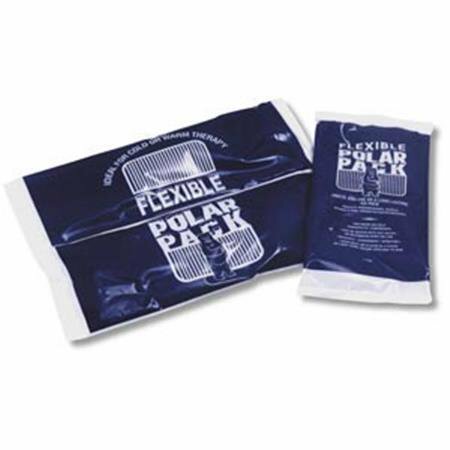 These reusable and flexible Polar Packs remain cold throughout the duration of your treatment, and do not leak on your furniture or carpet like other ice bags do. They can also be used as heating packs.